He said that as information technology is advancing, it is important that other areas of tertiary learning – online and distance learning programmes – are as significant as the traditional methods, because of the convenience they offer to students. The Minister was addressing graduates of the University of Leicester, in Fort Lauderdale, on June 10. The graduates from several Caribbean countries were awarded certificates after completing their Bachelors and Masters programmes by distance learning, in business administration, finance, management and marketing. Mr. Holness pointed out that distance learning programmes are ideally suited, and can be tailored for working adults, who seek to pursue higher education. He commended the University of Leicester for its outstanding reputation as one of the largest providers of distance learning education in the United Kingdom (UK), with some 8,000 students registered, in addition to the several accredited satellite campuses internationally. Because of the University’s excellent reputation for the development and teaching of management courses that are highly relevant to career needs, the Minister encouraged the graduates to use the online learning experience as a means of looking at problems and solutions through their interaction with other cultures and societies, and apply them in their own experiences, “as you become advocates for social change using education to meet the needs of our societies." He also congratulated the graduates, pointing out that their investment in education would help in their professional advancement, respect for their peers, and self actualisation. 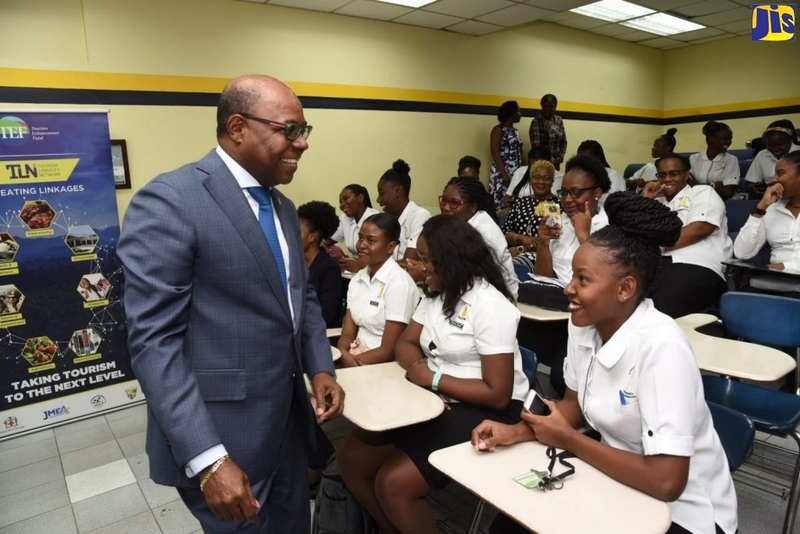 The graduates are employed in their countries, including Jamaica, Trinidad, Guyana and Antigua, and were invited to participate in the summer school and graduation exercise in Fort Lauderdale. Graduate, Michelle Bailey, from Jamaica, told JIS News that there were challenges in combining work and study to accomplish her goal in management studies, through distance learning. She said that distance learning techniques helped her to become more efficient and organised.